Diagnosing a problem with a vehicle is the fist step to fixing it. Having the right tool to do this goes a long way in making a problem easier to troubleshoot. Below is a list of our favorite vehicle diagnostic tools. A list like this is no doubt debatable and everyone will have their own opinion on what is the best to use. With that in mind here is our picks. 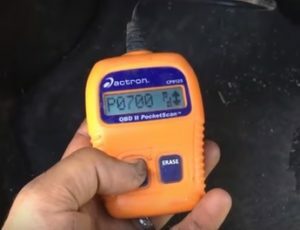 A OBD2 scan tool is a must have for troubleshooting a vehicle built after 1996. There are many available form small and cheap, to Bluetooth devices that allow your smartphone to find problems. A scan tool plugs into the any car or truck vehicle port and reads the error codes the computer is getting from the engine. The codes are looked up online or in a book which will point to the problem. This makes them a top troubleshooting tool and a must have for any job. It is small simple and cheap scan tool that anyone can easily use. Its gives the error codes along with the ability to clear them. Which ever OBD2 scan tool is chosen it will quickly become a go to unit for most any car problems. Fixing electrical problems can be a tricky job and is often the most difficult automotive repair. A multimeter is almost a must have to find a vehicle electrical problem and repair it. While a 12 volt idiot light can also be used with good success (see next item on the list) they can not give voltage readings and check continuity. 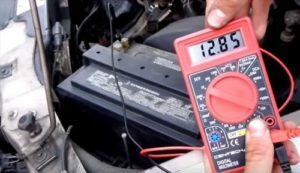 For example testing a alternator can be done quickly by measuring the DC voltage it is putting out to see if it is too low or too high. Personally I use a Fluke 115 meter which is a high end unit not necessary for basic automotive electrical jobs. If you are only doing occasional repairs than any cheap unit will work. If you already have a meter than there is no reason to buy another one as most any meter will get the job done. A Idiot light is a handheld tester that has two leads which go to negative and positive connections. A light in the center will glow when it sees voltage. This is a good quick easy tool to use to check for voltage easily. The negative line has a clamp that can hook to the body of a vehicle or any good ground. Wires can than be probed for voltage. While it doesn’t give a voltage reading it can be very useful when looking for a electrical problem or even hooking up trailer lights. Some mechanics can tell when voltage is low by how bright the bulb glows which comes from a lot of experience. While not the most high tech device idiot lights are cheap, reliable, and very useful. Getting the right tools to diagnose vehicle problems is crucial to fixing a problem. If you are a DIY mechanic than cheap units will likley work well enough to get the job done. For those who do a lot of mechanical work than more expensive units may be better. Finding out why car or trucks is not running right does come with experience but with the right tools the job becomes much simpler.